Welcome to Luxurious Wedding Etiquette & Protocol. Luxurious Wedding .com is an online wedding magazine dedicated to bringing you the best resources to complete your wedding planning. We know that there are many situations that will arise during your wedding planning where the advice of a wedding etiquette expert could put things into perspective. The bridesmaid luncheon or party is a perfect opportunity to thank your bridesmaids for their participation in your wedding. It is also a wonderful time to exchange gifts of appreciation to your ladies in waiting. Customarily, hosted by the bridesmaids with the Maid or Matron of Honor spearheading the details, the mother of the bride or the bride herself may also do the honors. This jovial party is optional and often held a day or two before or even the day of the wedding often resulting in a round of hair and make-up appointments in preparing for the main event. 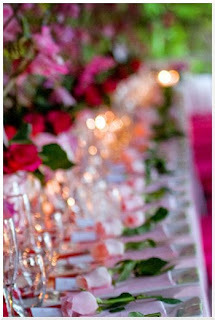 More traditional is the bridal luncheon or afternoon tea. The bridal luncheon or party guest list includes the bride, mother of the bride, mother of the groom, bridal attendants, flower girl and her mother. Consider extending the invitation to any sisters of the bride or groom and their grandmothers. Your families will thank you for your loving gesture. Thank you for being a fan of Luxurious Wedding Etiquette & Protocol. 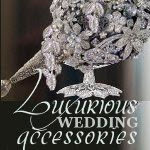 Luxurious Wedding Etiquette & Protocol is a division of Luxurious Wedding .com All content remains the property of Luxurious Wedding.com. Content may be used for exact reprint provided credit is given with a visible link back to Luxurious Wedding Etiquette & Protocol. For clarification please refer to our information on copyright infringement. Atelier Aimee Wedding Gown featured in our header.